South Elementary students (and Lulu!) were featured on “Good Morning EyeOpener” on Tuesday. Fourth grader Gus Concemi embodies the motto of High Plain Elementary, “Work Hard, Play Fair, Be Kind, Reach Out.” This nine year old says he stays committed to working hard at every subject, always makes sure there is fun involved in any competition and takes care that his fellow classmates have someone to play or talk with. Gus has a big heart, a big family, and a new baby brother, Everest, whom he adores. 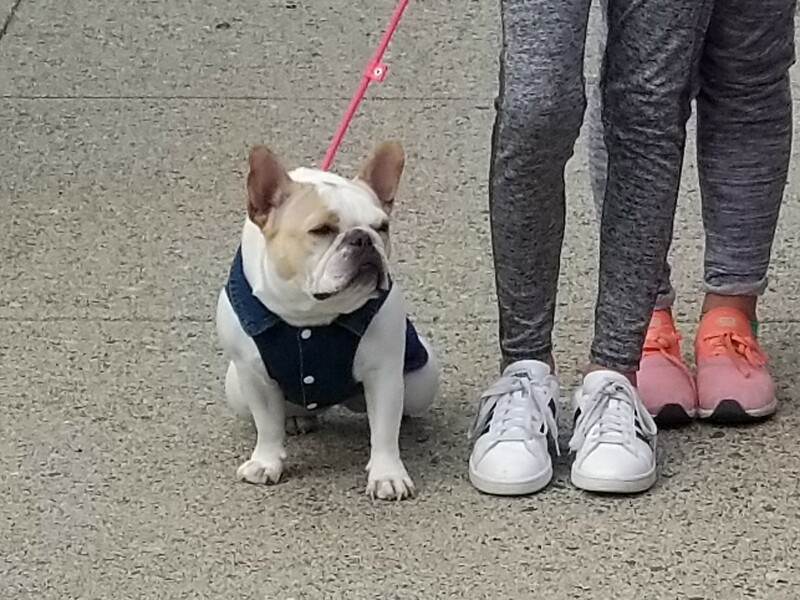 Everest is six months old, and Gus admires what a happy baby he is and is so excited to watch him grow up. Sports are Gus’ passion, especially flag football, baseball and wrestling. He hopes that flag football eventually becomes a professional sport, and if not, playing for the Red Sox might be in his future. 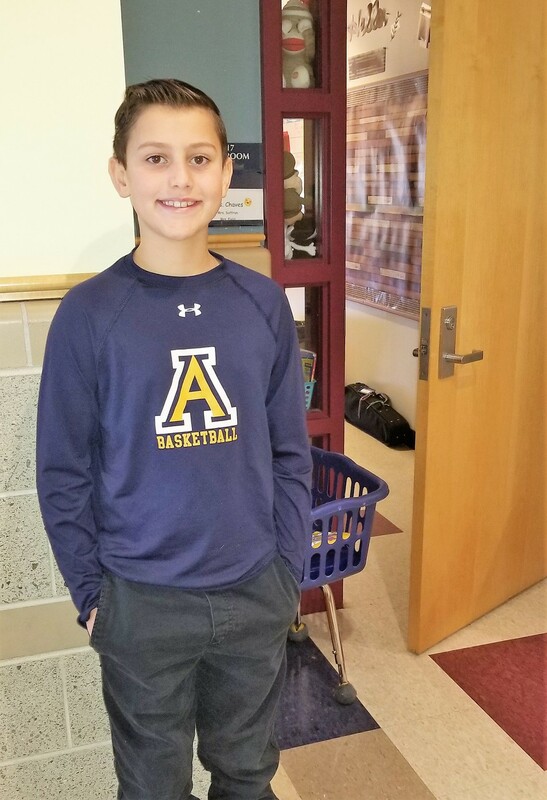 For right now, Gus loves to display his town pride in Andover and wears his Warriors’ gear whenever he’s able. Not surprisingly, Physical Education is his favorite subject at HPE. Every person who meets Duayne Habib in the hallways at APS stops for a fond hello and to admire her positive spirit and her outfit. Duayne takes good care to dress to perfection every day she substitutes, and it aligns flawlessly with her desire to be with the students. Duayne is a Lawrence native. She graduated from Lowell State and received her Masters at Emerson College. In 1961, she began teaching in the Lawrence school system and found middle school was her sweet spot. After almost 30 years in the classroom, she retired to travel with her husband, George. They saw the world together, visiting Europe, many national parks, taking cruises and got a close-up look at the Panama Canal (George’s favorite; he was an engineer). Duayne moved briefly to Florida after her husband passed, but it didn’t last long as she missed the Merrimack Valley, especially her students. In 2007, she began as a substitute teacher for the Pike School. Eventually she found her way to Shawsheen in 2011 and hasn’t looked back. She loves the faculty, staff and especially the students at APS. 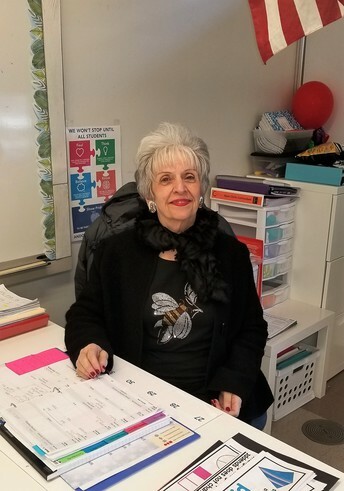 While middle school is still her favorite, she can substitute at any grade level, and loves watching the students as they grow into young adults. Substituting allows Duayne the flexibility she wants in her “retirement,” but you’ll find her at one of our schools more often than not. When asked what advice she would offer those hoping to teach someday, whether as a sub or a full time teacher, this experienced educator notes that you have to love the children. As a teacher, caring is the best way the students learn not just the fundamentals, but also the way to treat themselves and each other. Duayne Habib is one example of the many dedicated substitute teachers we see here every day at APS. We are fortunate to have a great group of substitute educators who value the flexibility to set their own schedule and have the opportunity to give back to the community, spend time with children and earn some additional income. Our substitutes make an incredible difference in our work—filling in when a teacher is ill or providing teachers with an opportunity to attend importance professional development that enhances their classroom practice. APS currently has 173 active substitutes and we always welcome more applicants. Substitute teaching is a great way for those interested in a career in education to have a chance to get classroom experience. Applying for a substitute teaching position is an easy process, and previous teaching experience isn’t required. The position requires a minimum of two years of college, as well as experience working with or supervising children. More information on how to become a substitute teacher can be found on our website. We value our substitutes; they become part of the APS family. They are an integral part of our district and we welcome anyone who is interested to join us for an informational meeting on Tuesday, January 8, 2019 from 3 p.m. to 4:30 p.m. in the School Committee room, Central Office- 2nd floor. This is a perfect opportunity for college students on winter break to meet with us, or parents who are considering substituting to share in the fun and excitement of teaching. It is also a great opportunity to experience the innovative work we are doing in classrooms and to experience the sense of community that is present in our schools. It’s worth a try—and you never know where it may take you! 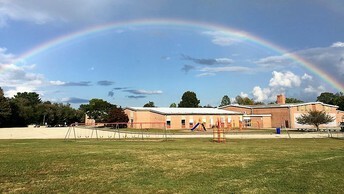 West Elementary Feasibility Study Update! At a meeting this week in Boston, the Massachusetts School Building Authority (MSBA) formally authorized their collaboration with the Town of Andover to move forward with a Feasibility Study of West Elementary. This next phase of the process will help create a design and assign a Project Manager for the project. West Elementary was accepted into the MSBA program in December 2017. Most notably, funding for a “feasibility study” was approved by Town Meeting in May 2018, and the study is expected to be complete in early 2020. The feasibility study will recommend a “preferred solution” to address West El’s facility needs—either a building renovation or a total replacement—to be considered by the community at a future Town Meeting. MSBA will cover up to 40% of the costs for the project. Click here for more information on the West El Project. Ten students at West Middle School took to the stage last week to compete in the annual Geography Bee, a test of global knowledge. The lessons begins with every student participating in classroom contests. Each grade level then sends finalists to the school wide finals- the Geo Bee. 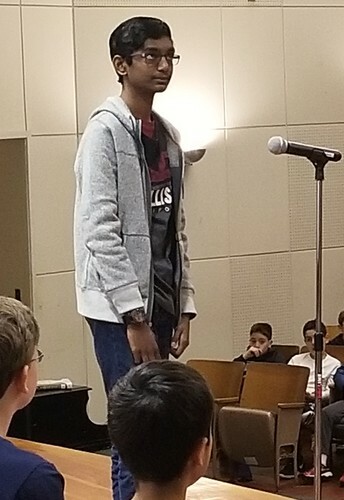 Competing this year were 6th grader Malak Benlahcen, 7th graders Julia Strong, Eissa Albinali, Vismay Ravikumar, Sri Niketh Velagapudi, and 8th graders Abhinav Bapanapalli, Neil Chowdhary, Luke Bardetti, Peter Stubler, Yash Kalwani. Social Studies teacher Emily Thompson emceed the event and quizzed the students on geographic influences such as culture, history, economics, and politics. The event was judged by the Social Studies department. Geo Bees will held at Doherty and Wood Hill middle schools later this month. 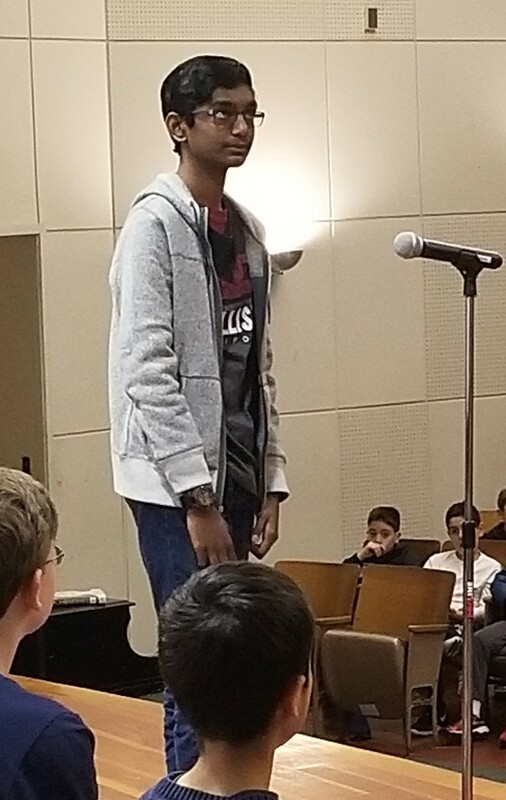 This year’s WMS winner, Abhinav Bapanapalli, will take a written test for a chance to complete at the state level competition sponsored by National Geographic. Abhinav has some experience in winning this competition. In 2017, he was West Middle School champion and competed the state competition. Congratulations Abhinav! 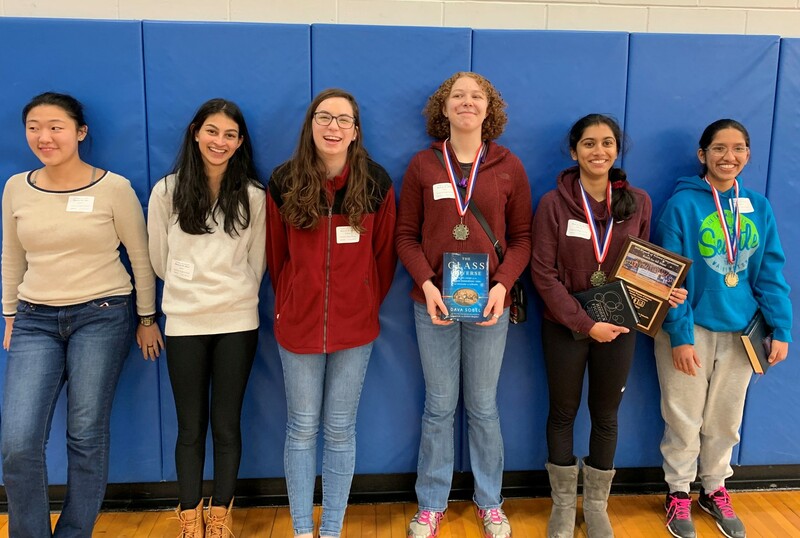 Bedford High School hosted the 16th annual Women of Science Scholarship Competition on Saturday, December 8th. The competition involves about forty teams of junior and senior high school women competing in four science and engineering events. All events involve knowledge based in the areas of biology, chemistry, engineering, environmental science, math, and physics. Teams compete as a group in each of the four events. PreK-12 Science Program Coordinator Steve Sanborn was on hand as two AHS teams finished in the top 10! 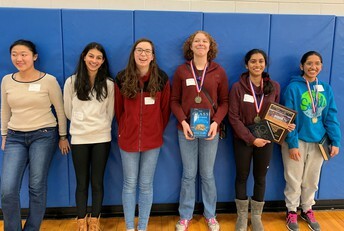 “Andover A” team Sara Earl (12th), Lekhya Sathi (11th) and Mitali Gupte (11th) finished in FIRST place. Their first place finish position earned each of them a nice book prize as well a scholarship check for $1000. “Andover B” team Ryanne McKenna (12th), Diya Desai (11th), and Jenny Shen (12th) also performed well finishing in 9th place overall, giving AHS teams two top 10 finishes. Well done ladies! 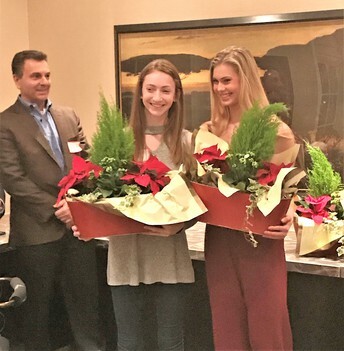 The Service Club of Andover honored Andover High School Student Ambassadors Hannah Finn and Karina Calhoun for organizing the blanket project, which provided warmth to those who were affected by September’s gas crisis. Andover High School Student Ambassadors assume leadership roles in their school and communities, focusing on wellness, sportsmanship and service to others. 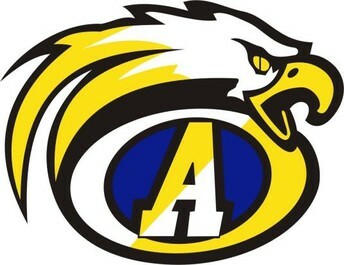 The Service Club of Andover provided $1,300 to cover the cost of materials. The Service Club of Andover is a volunteer organization that seeks to make a difference in the lives of our youth and friends with special needs. The Environmental Protection Agency (EPA) recently announced the winners of the 2018 National Food Recovery Challenge. Green Schools Andover and APS were celebrated as a national winner in the Education and Outreach Category. In 2017, all Andover public schools diverted 226 tons of food from the local incinerator with 217 tons of food waste diverted to compost and 9 tons of food recovered by share tables and donated to local non-profit organizations. Green Schools Andover is a group of local advocates working with APS to educate students and the school community on school lunch waste and food recovery. The group began to introduce share tables at schools in 2017 as a pilot program to recover unopened, wholesome food that was not being eaten by students and was being thrown away. The group also began diverting schools’ food waste to composting. In 2017, more than 1,000 Food Recovery Challenge national participants prevented and diverted over 648,000 tons of wasted food from entering landfills or incinerators. Congratulations to all those on our Green Schools Team and to Carina Schusterman for her leadership! The School Committee continued its practice of holding informal forums with Andover families and the community last Saturday. The next scheduled date will be Tuesday, January 15th at 7 p.m.